LaBarberia Institute of Hair is a professional barber school that is committed to maintaining its standard of excellence. 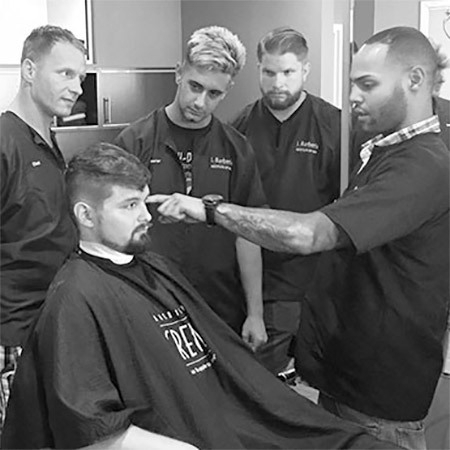 LaBarberia Institute of Hair provides its students with extraordinary training, educational experiences and state of the art tools necessary to prepare for a successful and fulfilling career in today’s barber industry. Dedicated and inspired by diligence of the “old school” barbers and the beauty industry, Laura Clemente; barber since 1983 and business owner operator since 1989, spoke of the promise to one day open a barber college that would overcome mediocrity and cater to the student, guest and community. The school was founded in 2009 to provide opportunities that will enrich lifestyles and inspire others to succeed, serve and care.